Balancing ambient with natural light to bring out the view: Not even the best DSLR camera is able to balance interior ambient light with a proper outside exposure. Knowing this, the only way to accurately capture the view that sells is to bring in off camera lighting to light the interior for one exposure and then taking a separate exposure for the outside and blending the 2 in photoshop. 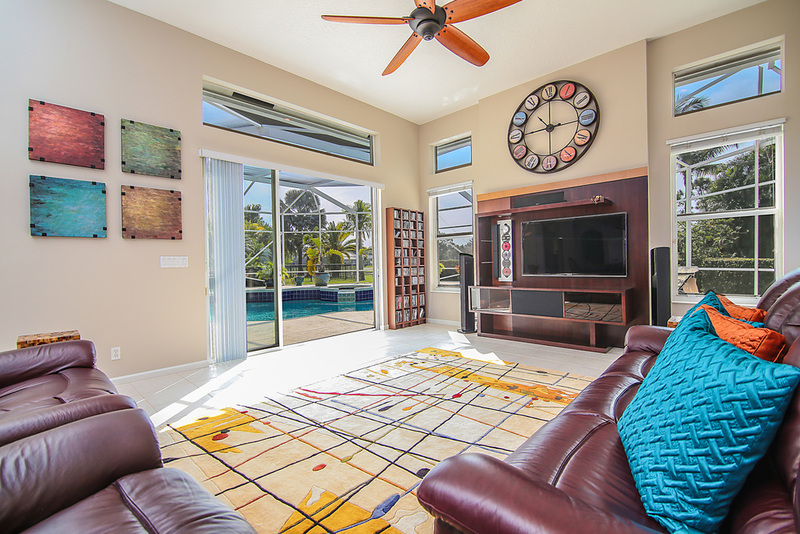 Here are a couple examples shot for a client in Palm City, Florida. While some people try to do this with HDR software, HDR software can make the whites a dirty gray, add noise and if you're not careful, can easily look, well, just horrible.